Can you "picture" Mrs. Barra driving the Chevy Cruze? Effective February 1st, Mary Barra will be leaving her current position of overseeing GM’s global human resources and assume the role of The General’s vice president of global product development, replacing Tom Stephens who has been assigned to the newly created position of chief technology officer. Though Barra has been head of GM’s HR department, she was educated in engineering and ascended through GM’s engineering ranks through her 30-year tenure to be where she is today. 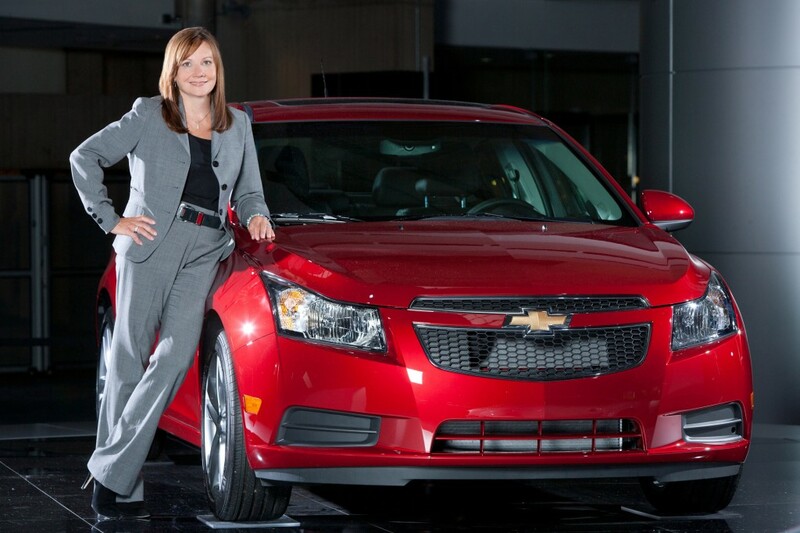 She is also the highest ranking woman within the ranks of General Motors. Her new position involves the oversight of global design, vehicle and powertrain engineering, as well as program management and quality control. Will she be able to fill the shoes of Bob Lutz? It’s still far too early to tell. Expect GM to announce Barra’s successor in the near future. Next story Rumormill: Chevy Camaro Nameplate To Enter NASCAR By 2013?